(Natural News) Texan researchers have just given bipedal robots the complex ability to balance their bodies in the same way that humans innately do. An article in Science Daily described how this will let robots catch up to their makers in terms of mobility. Humans are naturally capable of walking through a cramped or crowded area without putting much effort into it. The human brain contains the necessary set of complicated skills that control the body automatically. Researchers from The University of Texas at Austin (UTexas) decided to give that level of functionality to robots. Team leader Luis Sentis and his students from the school’s Human Centered Robotics Laboratory developed a brand-new means of bringing a human sense of balance to a bipedal robot named after the swift messenger god of the ancient Greeks. Long story short, the UTexas researchers took the physical dynamic skill of maintaining the balance of the entire body, which robots have a hard time understanding. They then translated it into a mathematical equation, which artificial intelligence can grasp pretty well. That numerical formula was integrated into the programming of the lab’s bipedal walking robot, Mercury. First built in 2012, Mercury underwent six years of testing before it achieved a semblance of human balance. The researchers were even able to determine the margin of error between a typical human who was walking normally and that same person losing his or her balance. The gap between maintaining balance and falling down was less than one inch (two centimeters). The new mathematical equation will upgrade bipedal robots that do not have ankle control. It will also benefit the more complex and fully humanoid robots. Ankle control is achieved with actuated feet that have joints. A walking robot without ankle control has more difficulty in mimicking the dynamic movement of the human body. The UTexas team resolved that issue by using a whole-body controller with integrated torques that could transmit and receive data. These contact-consistent rotators could tell the robot what it should do in case it collided with something or someone. Furthermore, they combined inverse kinematics and low-level motor position controllers. The former is another mathematical equation that lets 3D animated characters perform disturbingly realistic movement. The latter are parts that implement the programmed movements. Sentis said that the basic equations of their approach will see use in platforms other than bipedal walking robots. The mathematical formulas on human balance and movement could also be applied to embodied artificial intelligence and other research into robotics that aim to mimic the motion and behavior of humans. 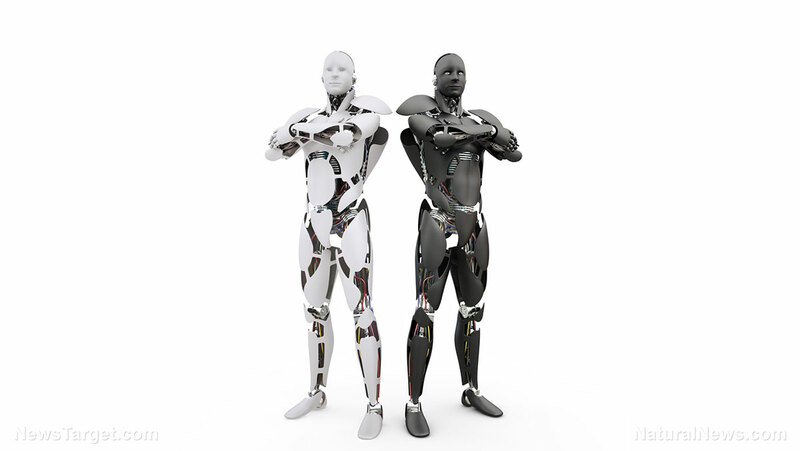 Robotics.news has more stories about the increasing speed and agility of bipedal humanoid robots.